Denny Jump (Bellevue, WA, United States) on 7 June 2017 in Abstract & Conceptual. 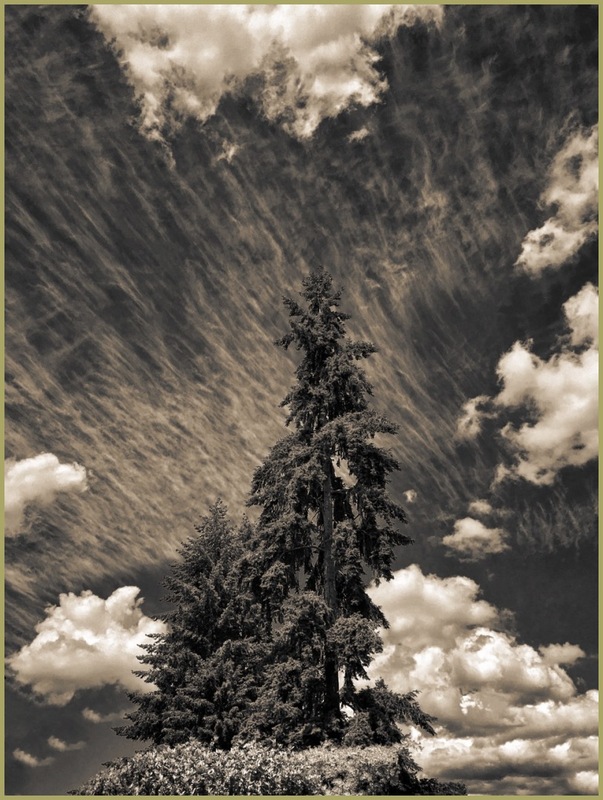 Beautiful high tree and fantastic clouds ! I love the atmosphere you have created with this processing ! A fabulous image of this majestic tree against the spectacular sky. A very cool capture and really lovely processing. Very artistic and great processing too. The sky looks superb indeed and I am glad you had the phone handy to take this photo. @L'Angevine: Thank you so very much, L'Angevine! Sure, post the color version too, it's so beautiful in blue & green & white, and so clear and so.... full of positive energy ! Be thanked for sharing it OFF ;) I'm fine, just busy with good work and wish you a wonderful day with such an amazing dancing sky within your heart & mind as well ! @k@: I sent you an email with original in a medium file size and will definitely posy original in a few days. Take it eady kiddo! !